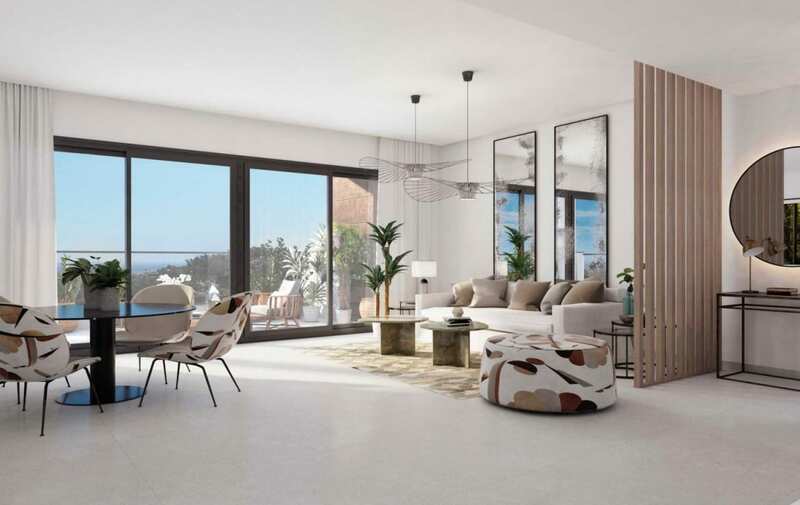 With a contemporary modern design, these exclusive apartments are set within an attractive natural landscape that maximises the views of all 45 homes. 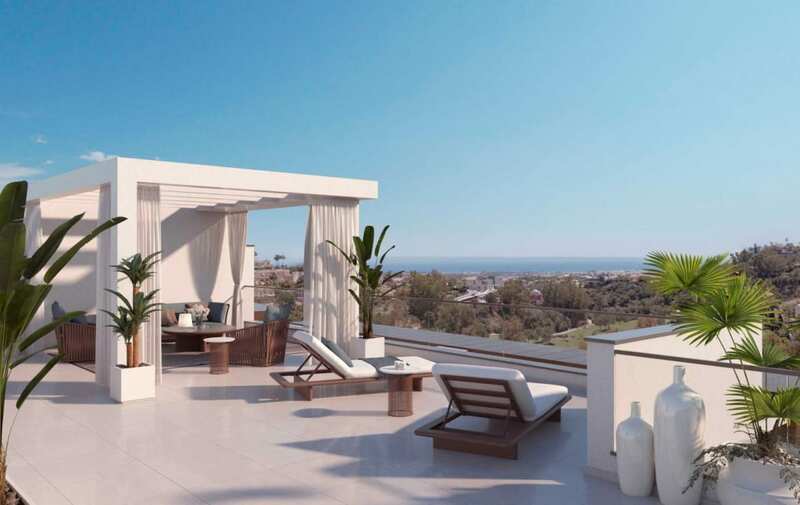 The development is perfectly situated above Puerto Banus and Nueva Andalucia and between the golf courses & exclusive, luxury estates of La Quinta and La Zagaleta. 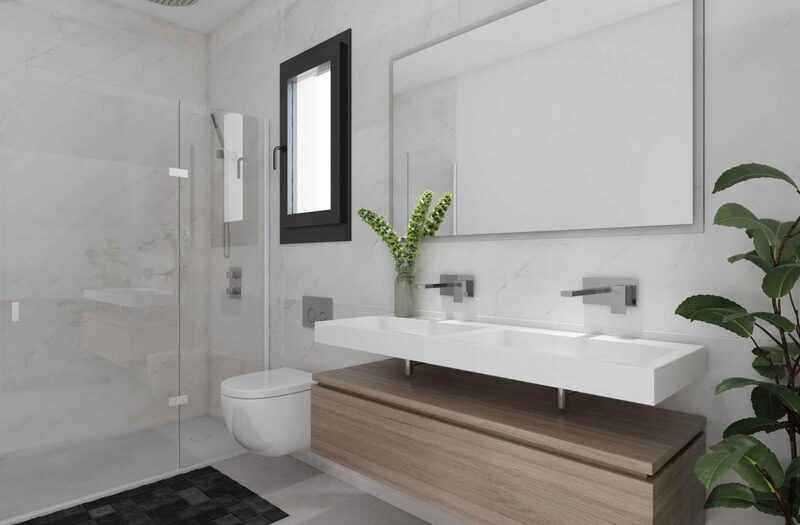 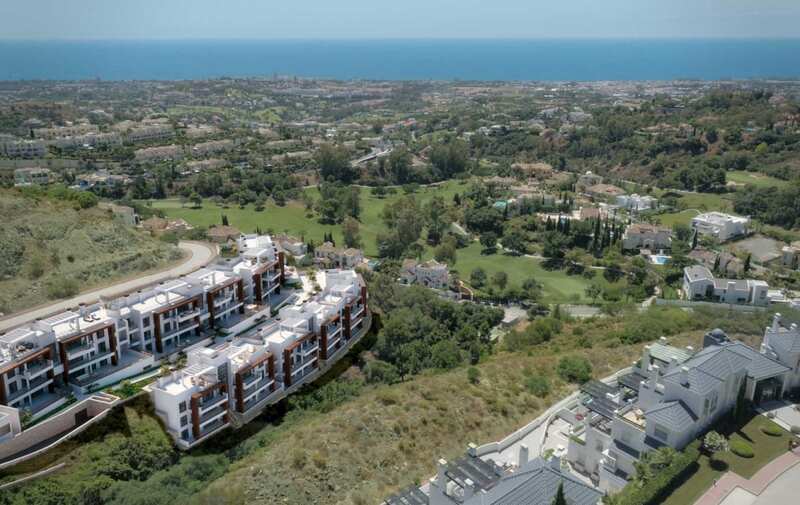 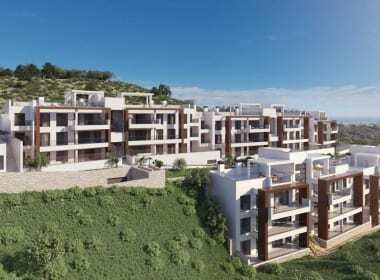 The project is also located just a short drive from the cosmopolitan Marbella and gives you the best of both worlds; a peaceful spot with spectacular open views across the golf valley to the sea yet close to a multitude of facilities. 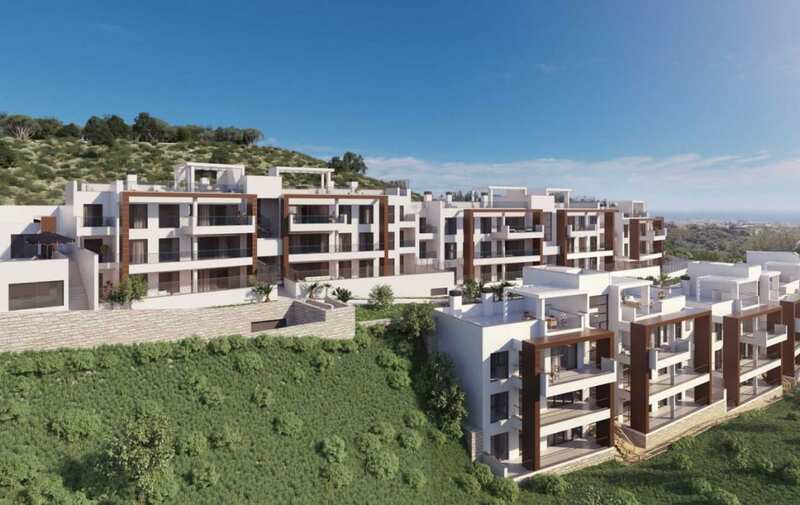 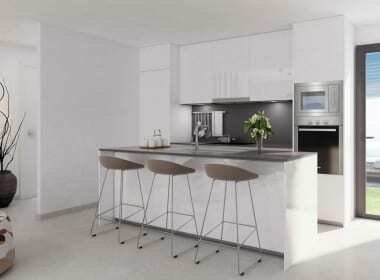 This stunning 2, 3 and 4 bedroom complex consists of 3 contemporary low rise buildings. 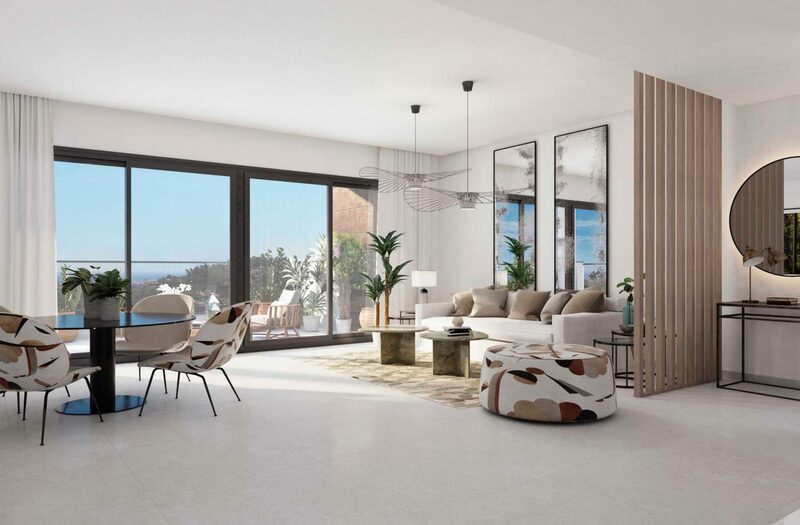 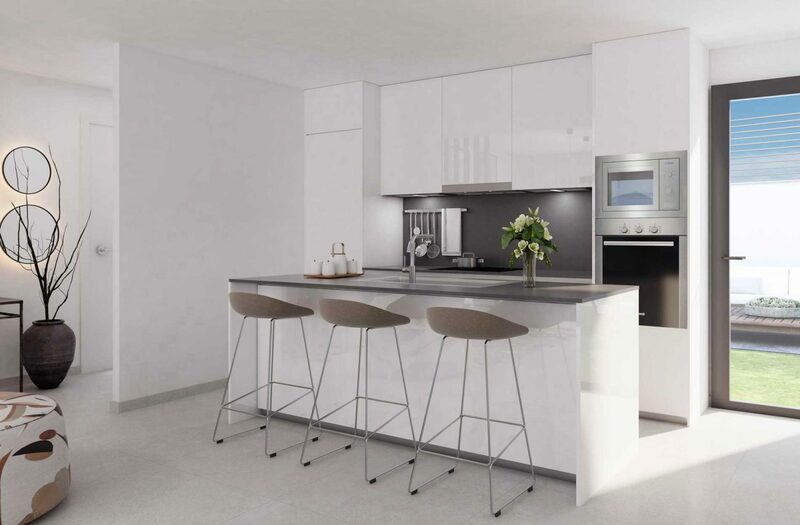 The apartments face south or southwest and the modern open plan design allows for an abundance of natural light to flow throughout the property. 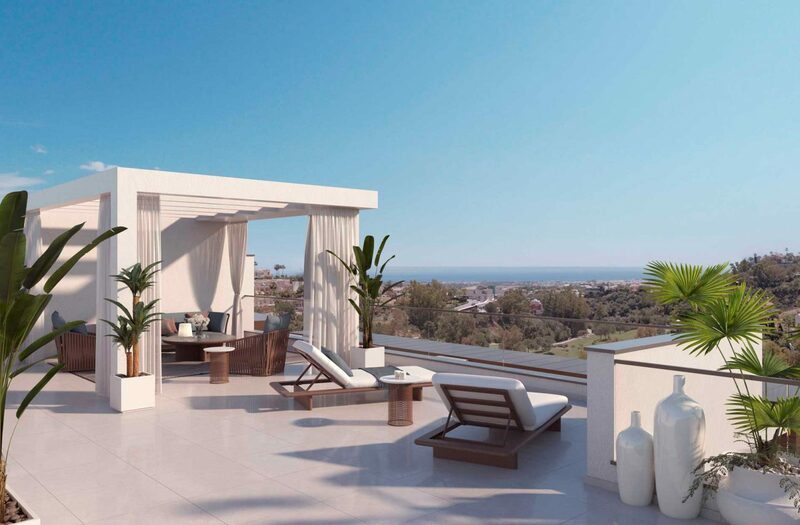 All penthouses have huge sun terraces and the ground floor apartments have private gardens together with terraces of 100 m2. 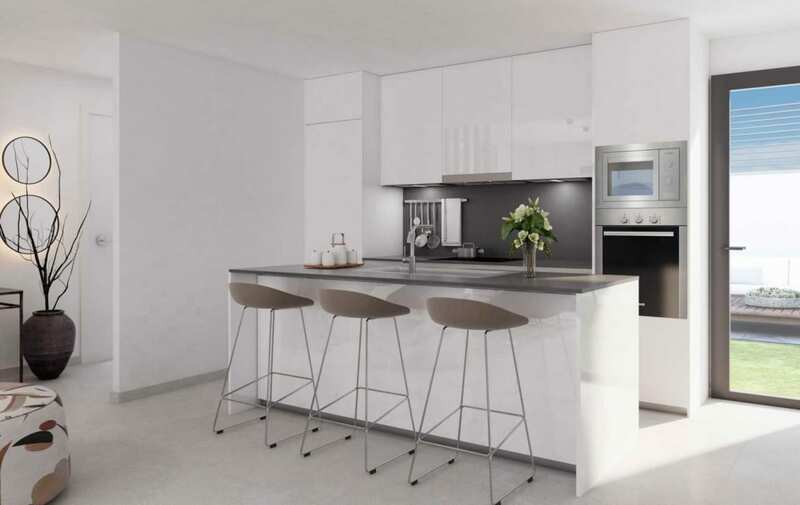 South/southwest-facing apartments benefit from abundant natural light. 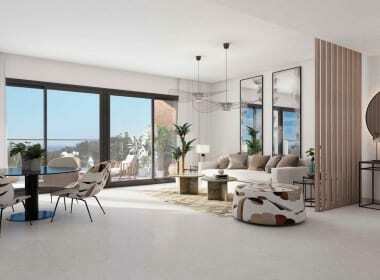 Large windows boast breath-taking views of the beautiful surrounding landscape. 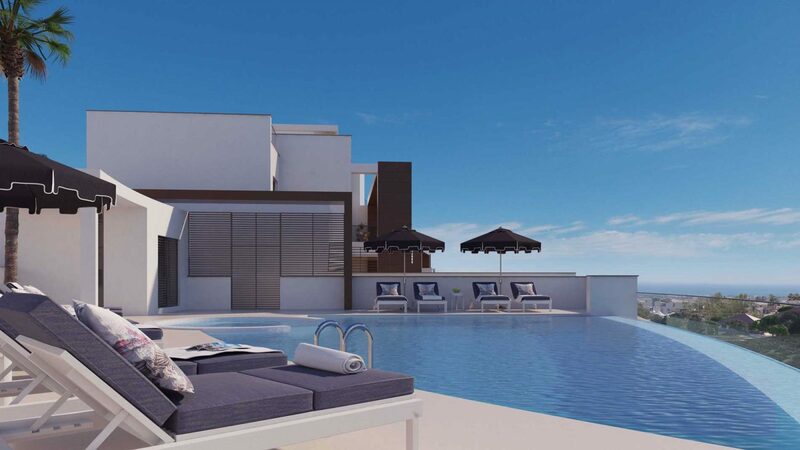 Second-floor apartments feature sun decks and, in some cases, private gardens. 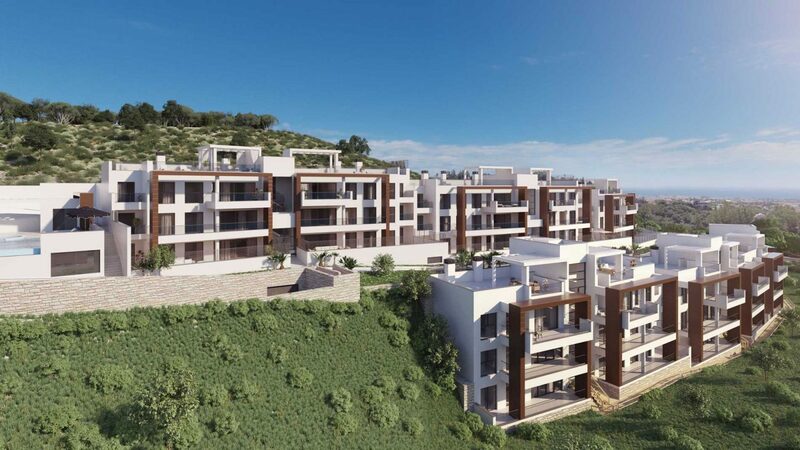 This gated community guarantees the security and privacy of its residents. 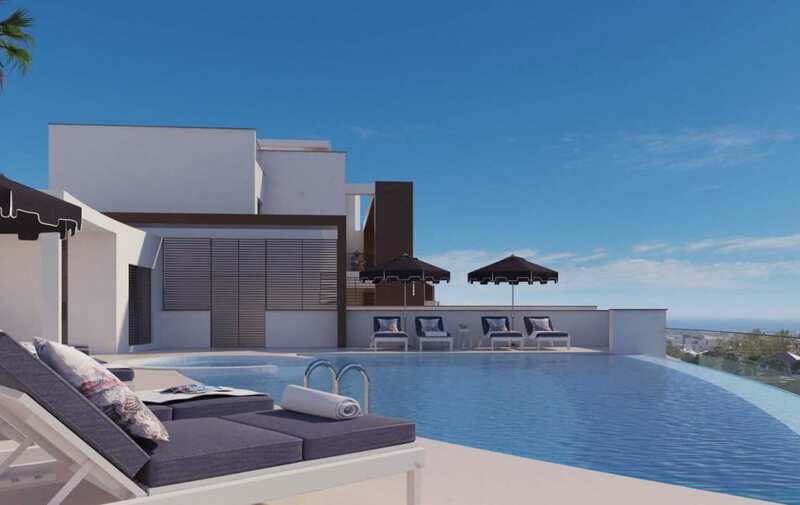 Common areas include a swimming pool with sundeck, gardens with plant species native to the area and also a gymnasium. 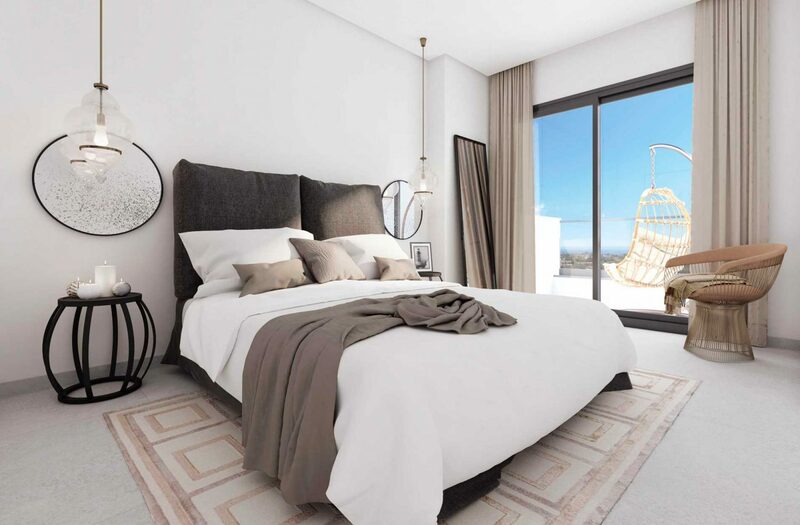 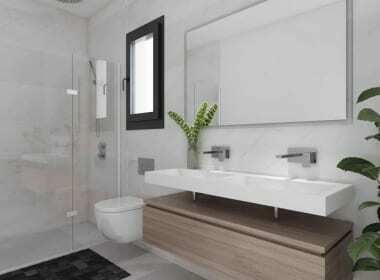 Alborada Homes is located in the municipality of Benahavis, an iconic town of Málaga on the Costa del Sol between Marbella, Estepona and Ronda. 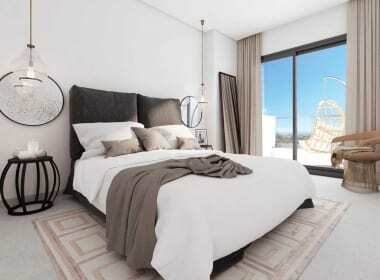 Benahavis is well known for its whitewashed façades, the charm of its streets and its gastronomic offer. 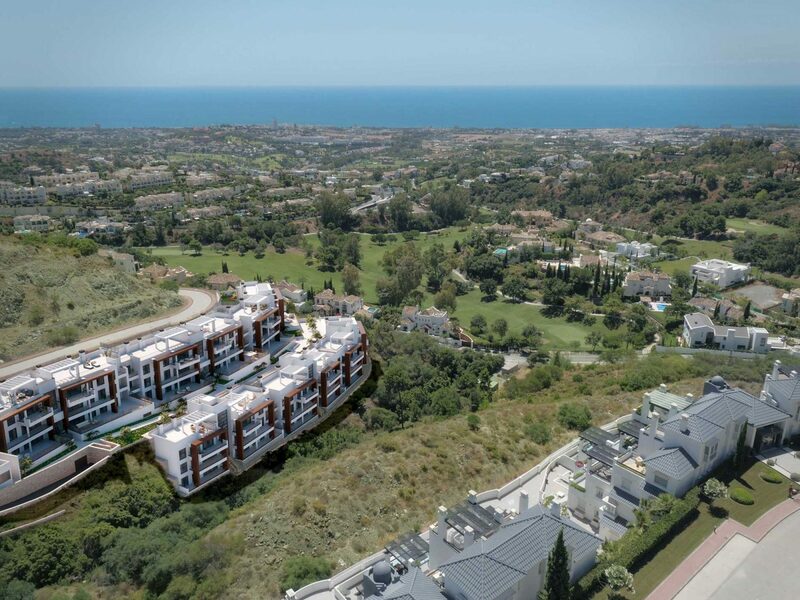 Local golf courses include Los Arqueros, La Quinta, Marbella Golf Resort, Los Flamingos, Los Naranjos, Aloha and Las Brisas – one of the finest golf courses in the South of Spain. For shoppers, you have La Cañada shopping mall and various malls and high end shops located in Puerto Banus.